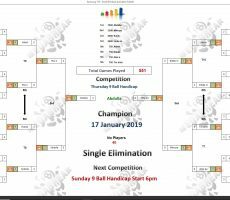 THURSDAY 9 BALL – 17th JANUARY : ABDULLA WINS. 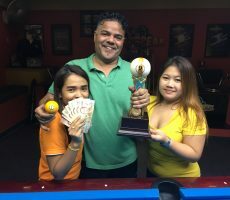 Qatar’s Abdulla Ahmad won his second competition of 2019 on Thursday night, to lift our 9 Ball trophy. 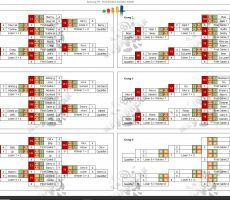 Playing in his last tournament before returning to his home country, he lost his very first game of the night in the groups, before finding his form to win his next seven matches and claim victory. 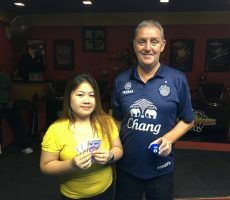 From a massive entry of 40 players from 20 different countries, he beat new player, Mike Parker from England in the final to collect the 1st Prize of 7000 baht. 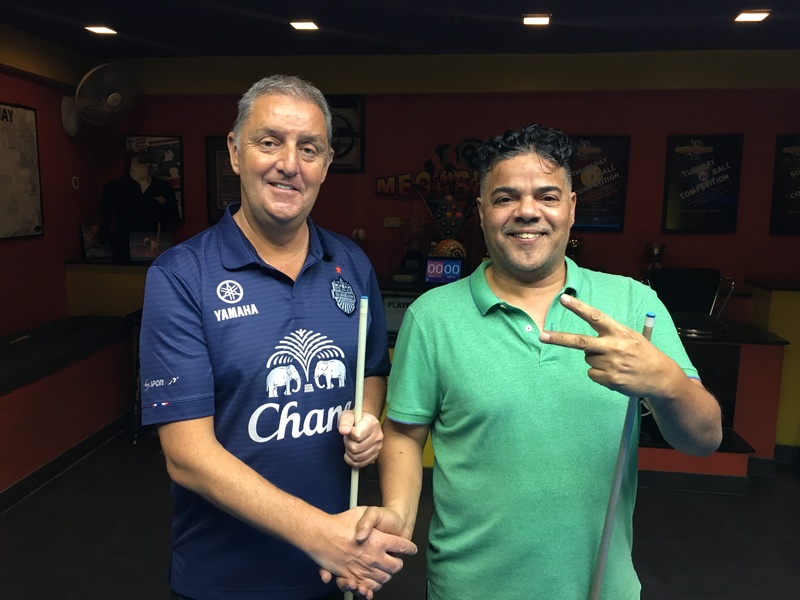 Mike, playing 9 Ball here for the very first time, did well to reach the final, but then found the handicap too much to claw back against our winner, and took home 3500 baht as Runner-Up. 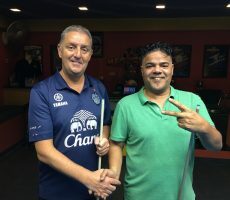 Roy Karlsen from Norway and Eddie Mallon from Northern Ireland, both playing here for just the second time, did well to reach the semi-finals, pocketing 2000 baht each. 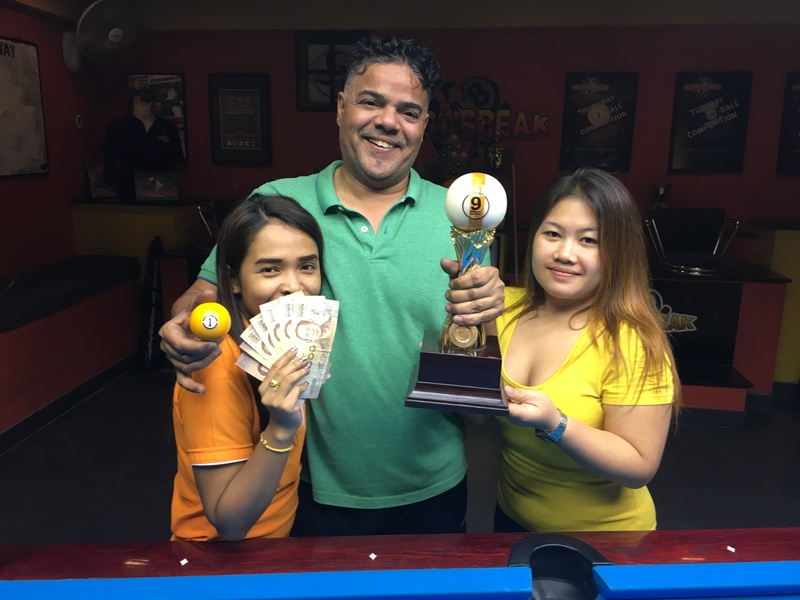 Champion : Abdulla (A+5) – 7000 baht. Runner-Up : Mike (A+8) – 3500 baht. 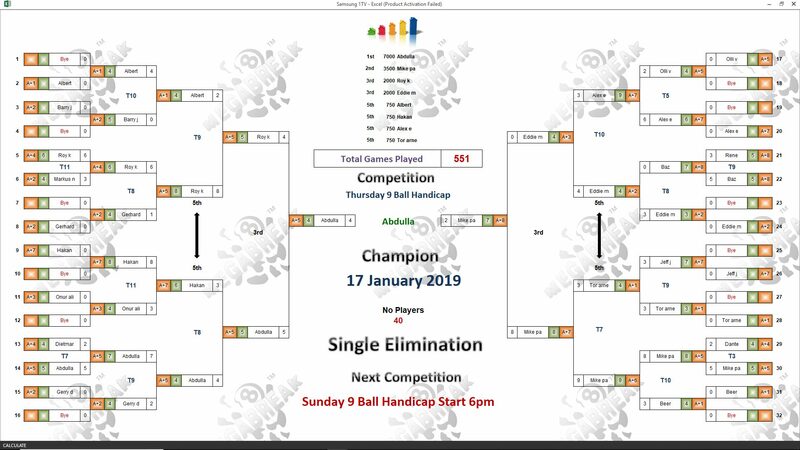 Semi-finals : Roy (A+5) and Eddie (A+2) – 2000 baht. 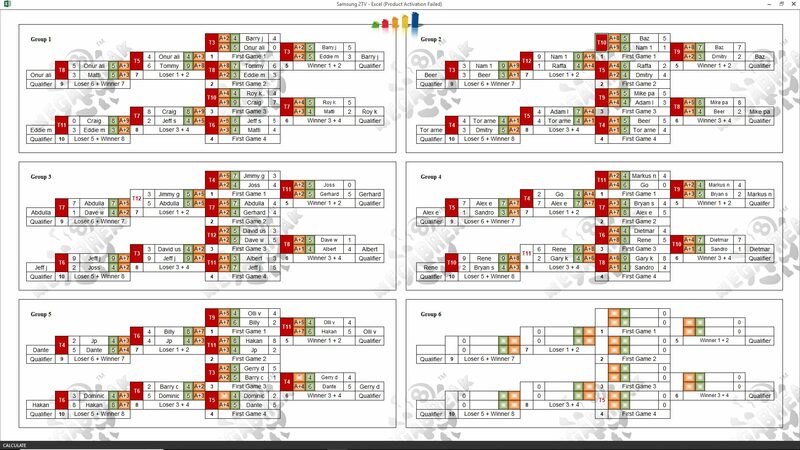 Quarter-finals : Håkan Ekberg (A+7), Alex Efremov (A+7), Tor-Arne Fenes (A+1) and Albert Gringhuis (A+1) – 750 baht each. The Player Auction Prize Pot totalled a massive 54300 baht and was won by our champion. He turned a good night into a great one by buying himself for 3200 baht, and adding extra 15000 to his winnings on the night. 1st : Abdulla (Himself) – 15000 baht. 2nd : Craig Jones (The Field) – 11000 baht. 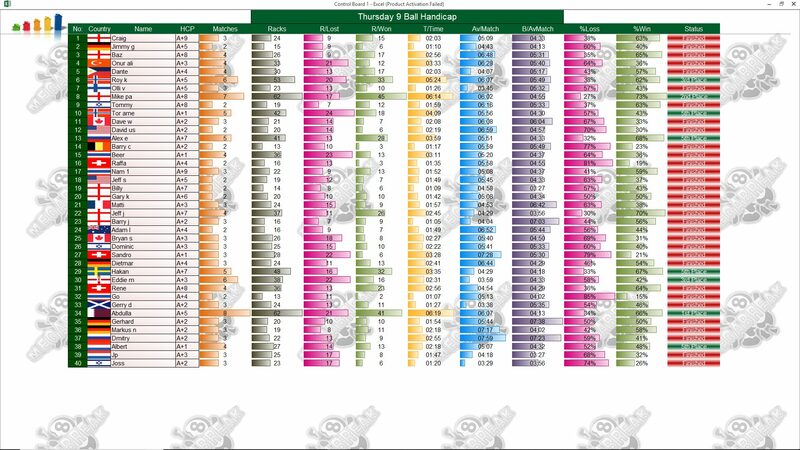 Equal 3rd : Craig (The Field x 2) – 6400 baht twice. Equal 5th : Billy Hayes (Tor and Albert), Onur Ali (Hakan) and Barry Johnston (Alex) – 3200 baht each.